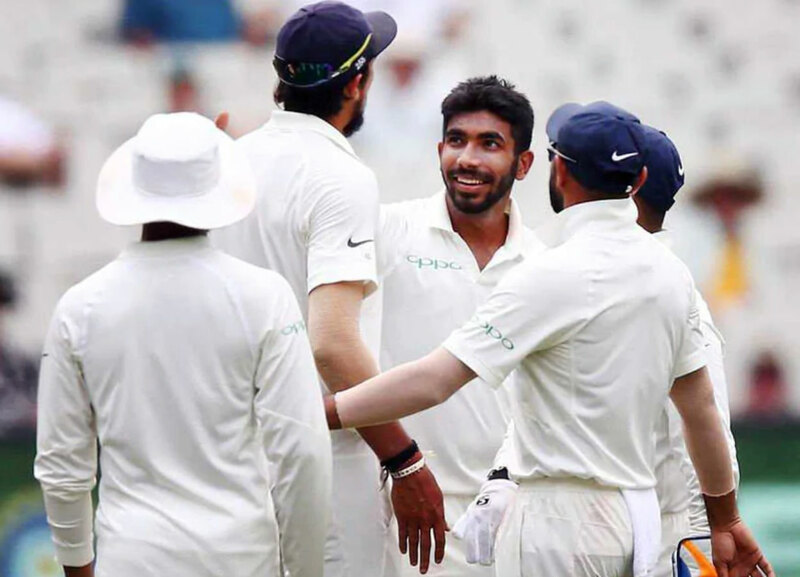 Melbourne: India moved five wickets away from sealing an emphatic victory in the third test against Australia on Saturday after reducing the hosts to 138 for five at tea on day four, still 261 runs short of their victory target. Mohammed Shami dismissed number three Usman Khawaja lbw for 33 shortly after lunch, with fellow seamer Jasprit Bumrah trapping Shaun Marsh in front for 44 on a muggy, overcast day at the Melbourne Cricket Ground. Spinner Ravindra Jadeja removed Mitchell Marsh for 10 before the tea break, the all-rounder slogging straight to India captain Virat Kohli at point. Travis Head, Australia’s last specialist batsman, was on 29 not out, left to try to rebuild the innings from the rubble with captain Tim Paine, who was on one run. With the four-test series poised at 1-1, Australia look to be facing ‘Mission Impossible’ to stave off defeat on a pitch that saw 15 wickets fall on day three. Kohli earlier declared India’s innings closed at 106 for eight, setting Australia a mammoth 399 for victory on a pitch showing treacherous patches of rough tailor-made for Jadeja’s attacks on the left-handed batsmen. Australia lost both their openers before lunch, with Bumrah having Aaron Finch caught in the slips for three in the second over, and spinner Ravindra Jadeja snaring the wicket of Marcus Harris for 13 with a catch in close. Australia seamer Pat Cummins earlier added two wickets to his four on day three, finishing with career-best figures of 6-27 before Kohli’s declaration. Opener Mayank Agarwal was Cummins’ fifth wicket for 42 when a ball nipped back and caught the bottom edge of his bat before clattering into the stumps. Cummins had his sixth victim when Jadeja gloved a short ball to Khawaja at short point to be out for five. Pant was the final Indian wicket to fall with a typically swashbuckling 33 after botching a ramp shot that edged to wicketkeeper-captain Paine.